One of my all-time favourite recordings is Bernstein conducting Weiner Philharmonic in Brahms’ Symphony No. 1. I first came across this recording when I was in my late teens – my then-boyfriend had it on cassette tape (showing my age) and we used to listen to it at full volume in his car on the way home from our Saturday music school. We played it so much the tape became stretched in places. It’s such a vigorous and energetic performance and I love that you can hear Bernstein humming along on parts of the recording. I’ve now upgraded to a CD and it’s still a staple on the playlist when I’m driving home late at night from Britten Sinfonia concerts. 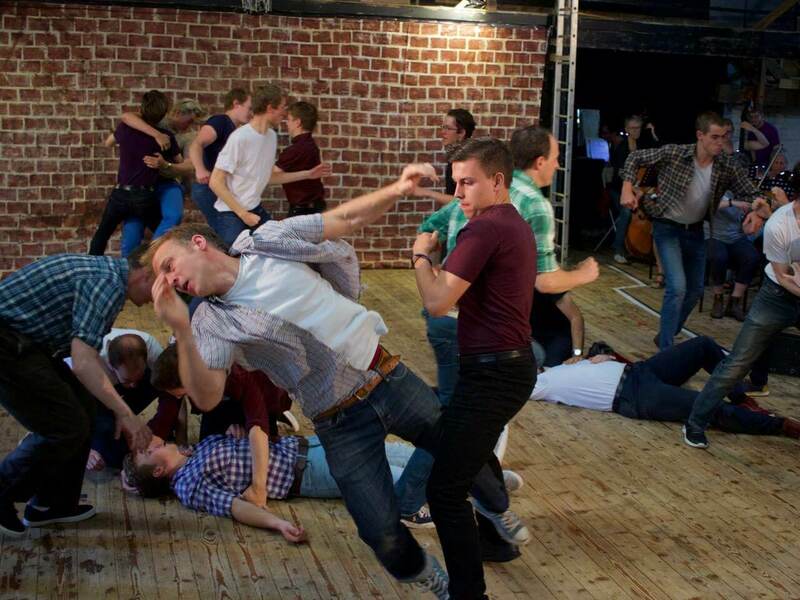 Discovering, after 5 years of marriage, that my husband was born to be on the stage, when he played Action in West Side Story over the bank holiday weekend. Teaching my community choir the beautiful harmonies in Make Our Garden Grow from Candide. I remember learning to play (and sing) America from West Side Story in a school music lesson, probably in year 8 or 9 – I remember spending ages deciding what sound to use on my keyboard. My school had those old Yamaha keyboards that had the ‘DJ mode’ so, of course, hilarity ensued… We definitely watched clips of the film too, but I didn’t actually see the whole thing until more recently when I was studying for my degree. I can still remember most of the words to America. The great man so in harmony with the orchestra, that he could brilliantly conduct the Vienna Philharmonic with just a few smiles, winks and nods! When I think of my “Bernstein Moments”, I’m instantly nostalgic for my schooldays when I first came across his music. Two moments in particular stand out: firstly, rehearsing Chichester Psalms for our end of term concert, and being completely stunned by the knock-out vibrancy and colour of the music, and not least the little treble soloist who took everything in his stride; secondly, being taken as a school group to see West Side Story at the Palace Theatre in Manchester and being completely wowed by the energy of it; we must have seriously irritated the minibus driver all the way home with our caterwauling of Tonight, tonight! and our medley persisted well into the night until one member of our dorm, during a particularly moving rendition of Maria, accidentally jumped on a drawing pin and the House Mistress had to be summoned to administer plasters and Lights Out….. 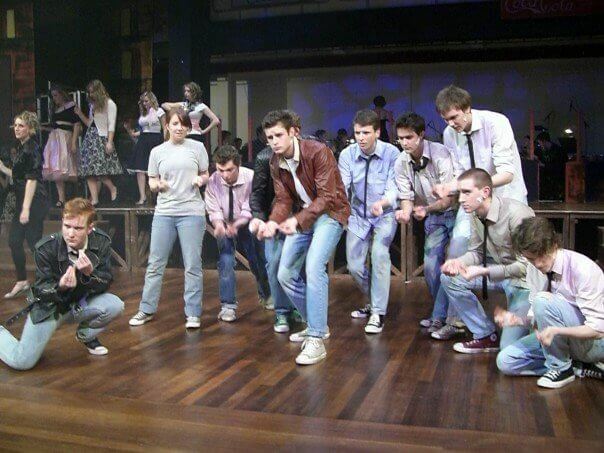 Here I am performing in the band for a production of West Side Story at university (bottom left). My Bernstein moment is from a few years ago when I was asked to play the harp part at school for the Candide overture. So far, so good, but as I arrived at the first rehearsal it became quite clear that it was the wind band arrangement. I seem to remember that the two bars where the harp could be heard went quite well, after which I think I blacked out. 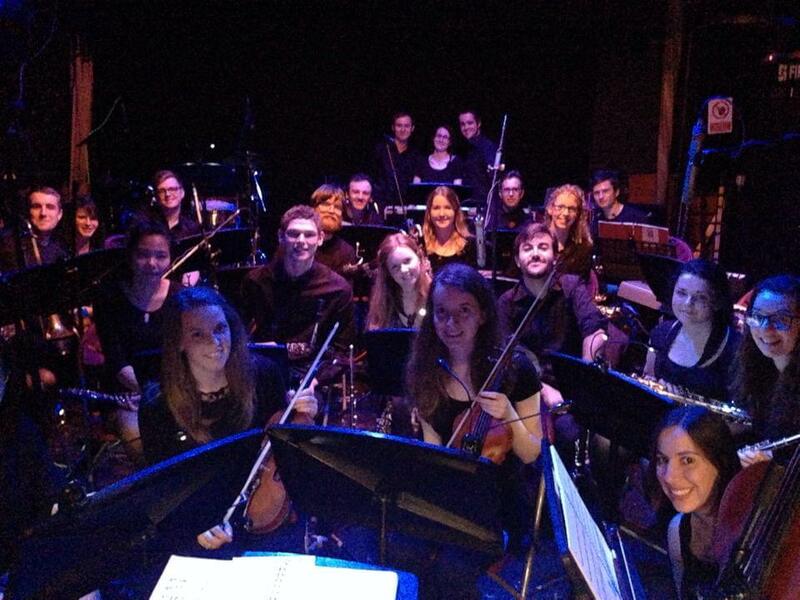 My favourite Bernstein moment was in my third year at the University of Nottingham, where I managed to convince the University Sinfonia to perform Symphonic Dances from West Side Story. Although there were many challenges to the work, including getting strings to play in syncopation, adapting to the unique harmonies and generally recruiting enough horns, the final performance was a showstopper. The highlight for me has to be the enthusiastic shout of “Mambo!”, which we even did as an encore! Join in the conversation and let us know what your favourite Bernstein moment is on Facebook and Twitter. Britten Sinfonia is performing Chichester Psalms with The Choir of King’s College, Cambridge at London’s Barbican on 2 December 2017 and at Saffron Hall on 16 February 2018.